Home > Blog > I Did Not Sign Any Documents. Can I Be Sued for Breach of Contract? In short, absolutely you can! Oral contracts are legal and binding in the state of Arizona. Four queries about your specific situation will help you identify if you have entered into a legally binding contract. First check to see if your agreement falls within the category of transactions (described below) that require a written contract to be enforceable. Next, identify if a legitimate “offer” was made to you, or by you. Third, look for words and/or actions that might reasonably be construed as an “acceptance” of the offer. Finally, look to see if the terms of the “consideration” were clear and specific, whether monetary or otherwise. Verbal Contracts are binding, too and as such can be broken. Here is a look on what constitutes a binding verbal contract. Transactions that require your signature, or some form of written acceptance include agreements involving the transfer of interest in real property (such as purchasing or leasing a home). Also any transaction involving the transfer of goods in excess of $500 must be in writing. A guarantee of a debt by a third party must also have a written contract. And lastly, any agreement that requires longer than a year for all terms to be fulfilled needs to be written to be upheld as legally binding in Arizona. McDonald’s offer to sell Big Macs is clearly advertised on menus at the drive-thru ordering terminal. The pranksters, as invitees to the business, are the recipients of a valid offer. By ordering twenty Big Macs, the pranksters accepted McDonald’s offer, or promise, to deliver Big Macs in the quantity ordered. Note that they did not sign a contract. And the language of the transaction might not have suggested to them, at least with their understanding of the law, that they were indeed entering into a contractual agreement by simply ordering some sandwiches. McDonalds obviously understands the need to be clear about the issue of “consideration.” Their prices are clearly displayed on detailed menus. When ordering, the price of the individual order is generally confirmed on a digital screen, and also verbally by the employee. If there exists and offer, acceptance and consideration in your verbal communications with another person, then there is a good chance you have entered into a legally binding contract. However, if the alleged breach, on an oral contract, occurred more than three years ago, the statute of limitations prevents further legal action. 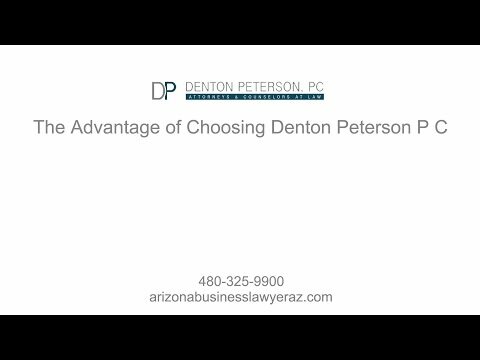 If you’d like an experienced Arizona business attorney at Denton Peterson, PC to review your unique situation we invite you to contact us. We’d love to help.